Sunday, June 24, 2012 dawned sunny and warm. 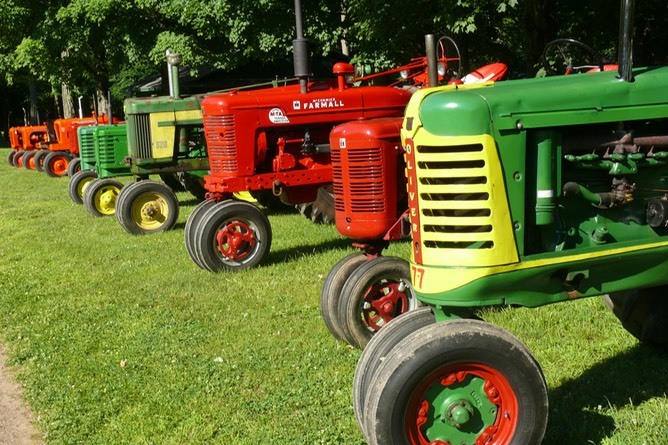 The antique tractors started to show up at 7:00 AM on our museum grounds in Kent. 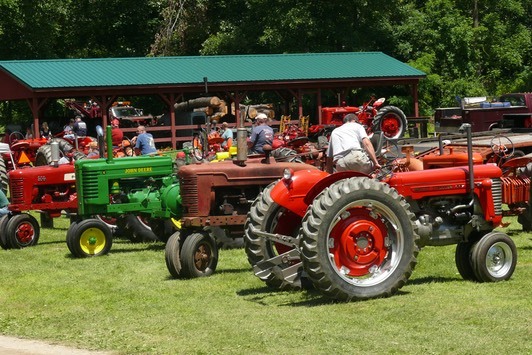 As you can see from the photos above and below, many makes and models of antique tractors were in attendance, representing a variety of weight classes. A food concession served breakfast and lunch to both spectators and participants. 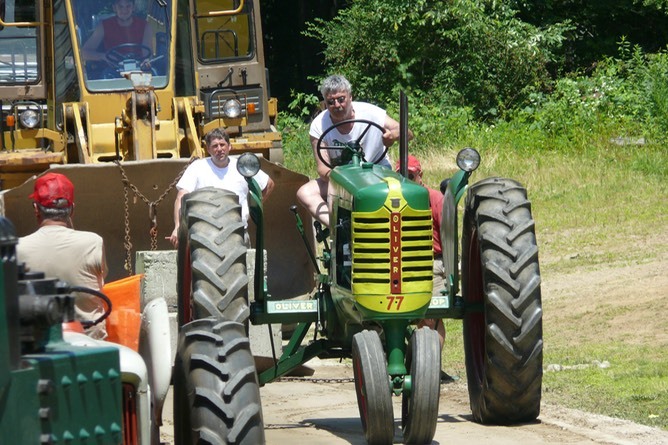 The pulls started with the lightest weight classes at 9:00 AM and concluded at sunset. 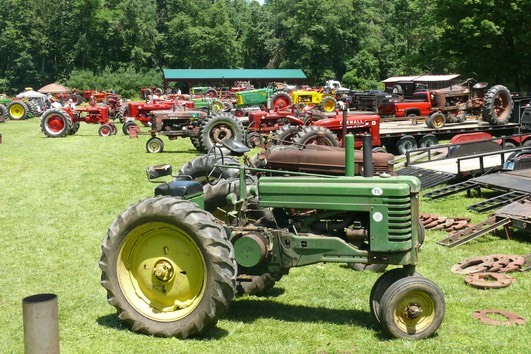 It was an event that transformed the show grounds into a sea of tractors, wheel weights and trailers. If you missed this pull, there will be another one at CAMA on Saturday, October 13th.